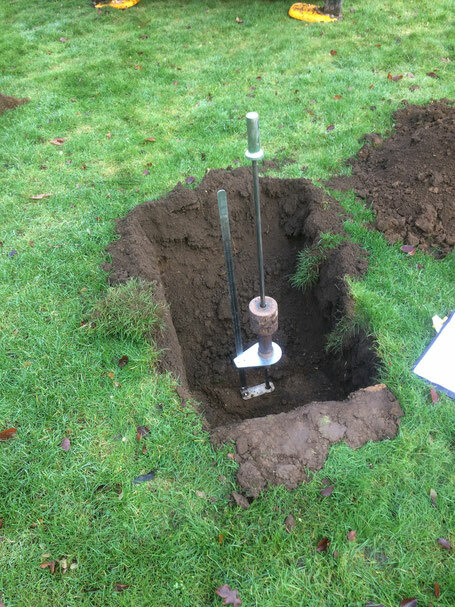 During any site investigation we try to gather as much information about the ground as possible. This starts with a Phase 1 Desk Study, where historical and environmental information is gather to help design the ground investigation. 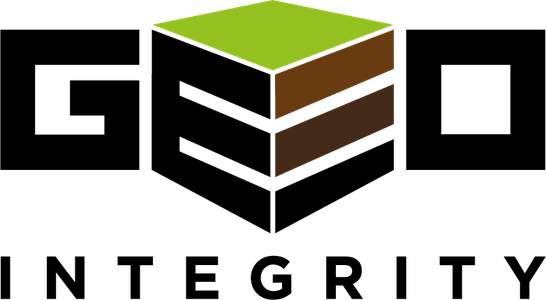 Following its design a site investigation can include soakaway testing using the BRE365 method; continuous tube sampling boreholes; cable percussion boreholes; machine excavated trial pits; plate bearing tests or in-situ CBR testing, where soil strength parameters are required for road pavement design. Where road pavement design is required a quick and effective method of gathering large amounts of information across a site is the use of the TRL DCP probe (picture left). The TRL (Transport Research Laboratory) DCP (Dynamic Cone Penetrometer) is designed to give a continuous reading of in-situ resistance down to a depth of 850mm (or deeper). These readings can be converted to a CBR value and Layer Stiffness Modulus. Not so effective in softer soils, but when supplemented with in-situ CBR tests (which are more expensive) or recompacted laboratory tests, the extensive coverage that is gained gives a valuable insight into variations across a site. The TRL DCP uses a 8kg hammer, dropped a height of 575mm, that punches a 60 degree cone through the ground. The rod behind the cone is narrower, to ensure that friction does not increase the readings with depth. We record the mm/blow and this is converted into the equivalent CBR and Layer Stiffness Modulus (values that are used for the design of road pavements). We find the benefits of the TRL DCP (over the more traditional in-situ tests) are; firstly, its speed and relative cost. Many tests can be undertaken over a short period of time with limited man power. Secondly, when plotting the results cumulatively rather than per blow, you can clearly see differing layers within the sub-grade that are missed when undertaking a standard in-situ CBR test or plate bearing tests.